SAVE $87.99 on your order today! The transitional style of the Liberty Hartly Bedroom Set in Gray Wash has so much modern flair! 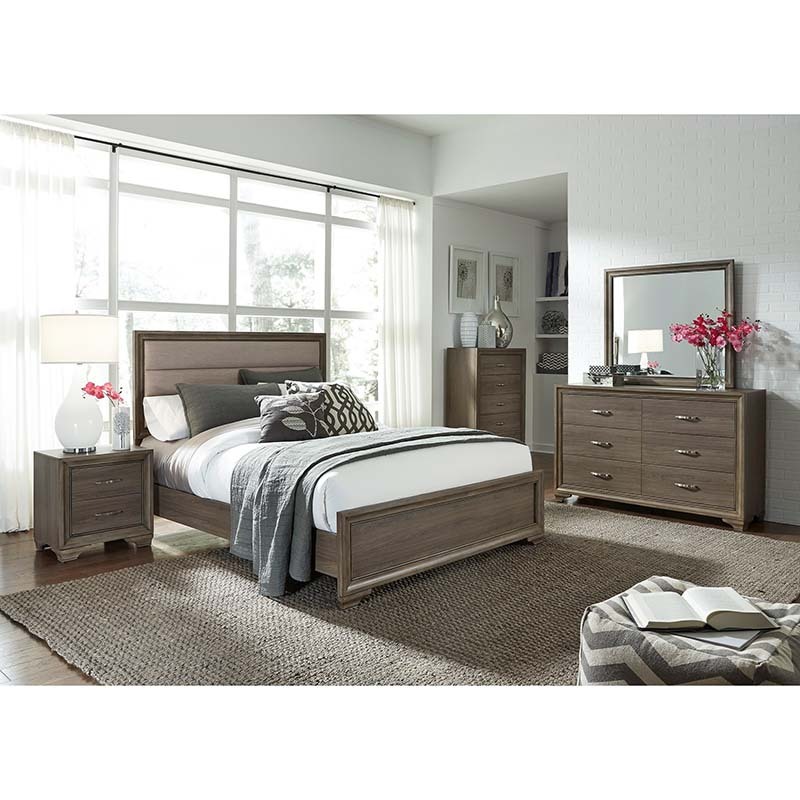 Designed to stand the test of time, this set features stain nickel hardware, English dovetail drawer construction, a paneled headboard in a dark finish and Kenlin drawer glides. Set includes queen bed, mirrored dresser, chest and nightstand.